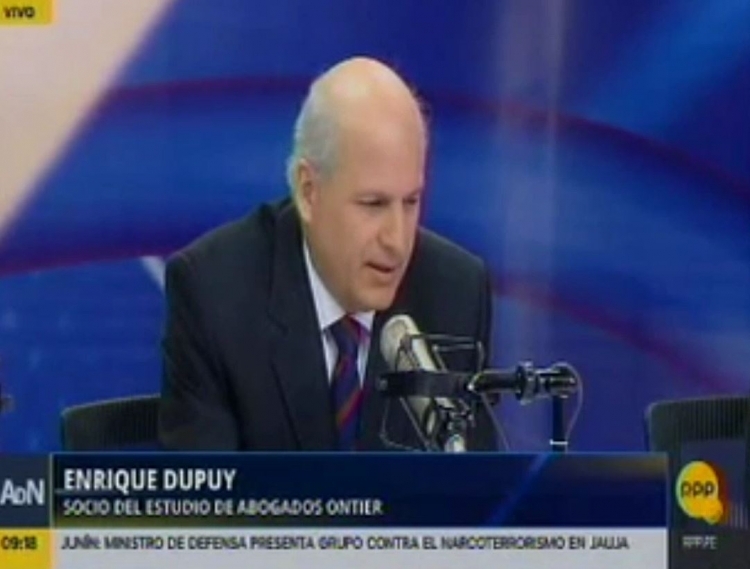 Enrique Dupuy, Partner at ONTIER Perú, joined RPP Noticias's show. Enrique Dupuy, Partner at ONTIER Peru, joined RPP Noticias’s show to talk about the creation of the single authority of the unified commuting authority of Lima and Callao, an initiative announced in the President’s speech in July 28. 'I think that the fact that the President brought this subject is a great initiative. That means that he's addressing the problem. However we still need to shape this draft law and listen to the authorities of Lima and Callao' explained Enrique Dupuy, who also noted that there are also expert officials that can provide some useful insight. Watch here the full interview with Enrique Dupuy.